Do you want to change the print icons for your articles? Your template doesn’t match your design expectations? Do you think tags should look like real tags? If you asked any of those questions, or even better you have similar concerns about the look of your site, this tutorial is for you. 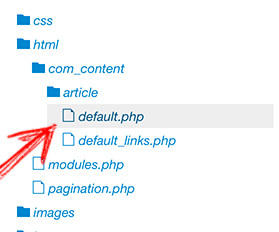 Overrides are not expensive at all; you only need a basic knowledge of php and html. 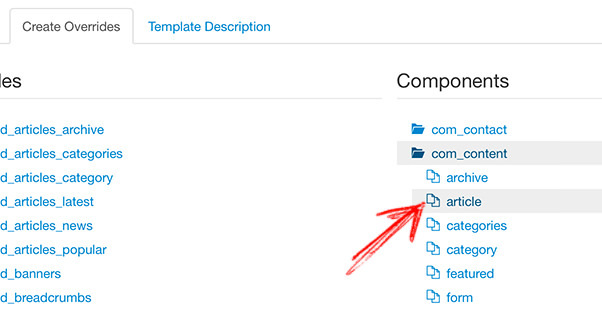 Choose the module, component or layout you want to customize. In this example we are overriding the single article view. The editor is loaded in the right side. Edit the code, and save when you're done. 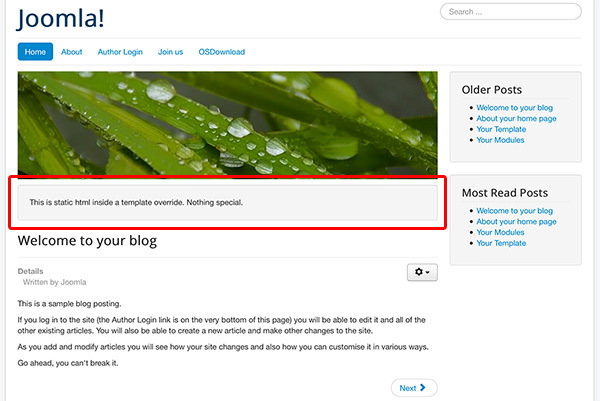 Visit the public are of your site to see your customizations in action and more important, to confirm nothing is broken. In our example we added an static snippet. There are different types of overrides to redefine the layout for components and small portions of extensions. The guidelines are basically the same: duplicate the core file inside your template and play with the html. The possibilities are just awesome!